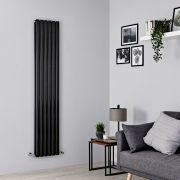 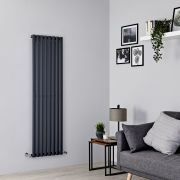 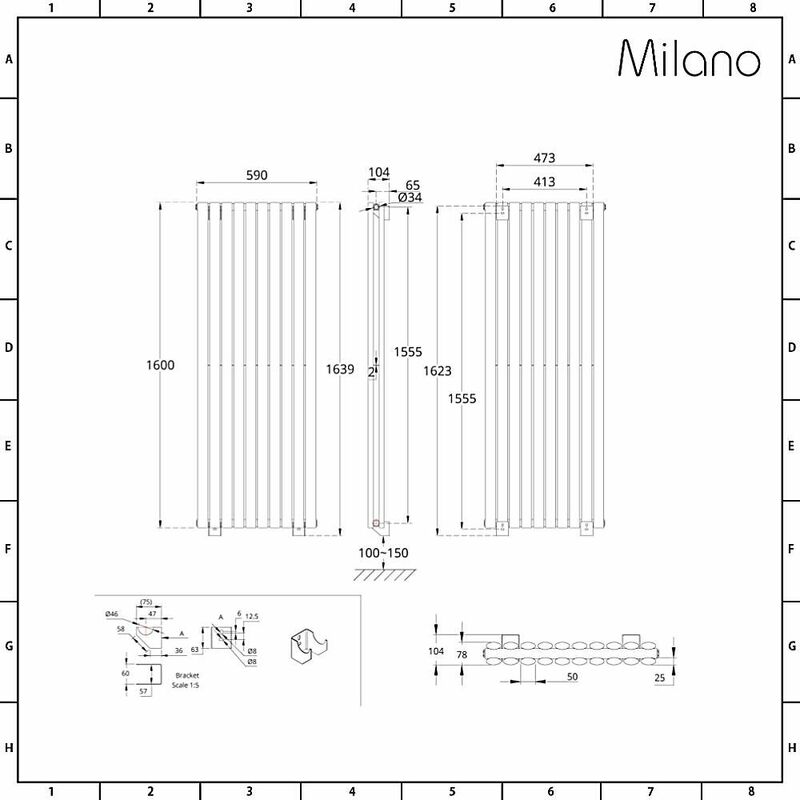 With stunning designer looks and exceptional heat output, the 1600mm x 590mm double panel Aruba vertical designer radiator by Milano is a fail-safe and stylish way to heat the bathroom or any other living space in the home. 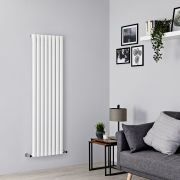 The Aruba is a contemporary radiator which makes a great alternative to standard convectors and has excellent heat output as well as good looks. 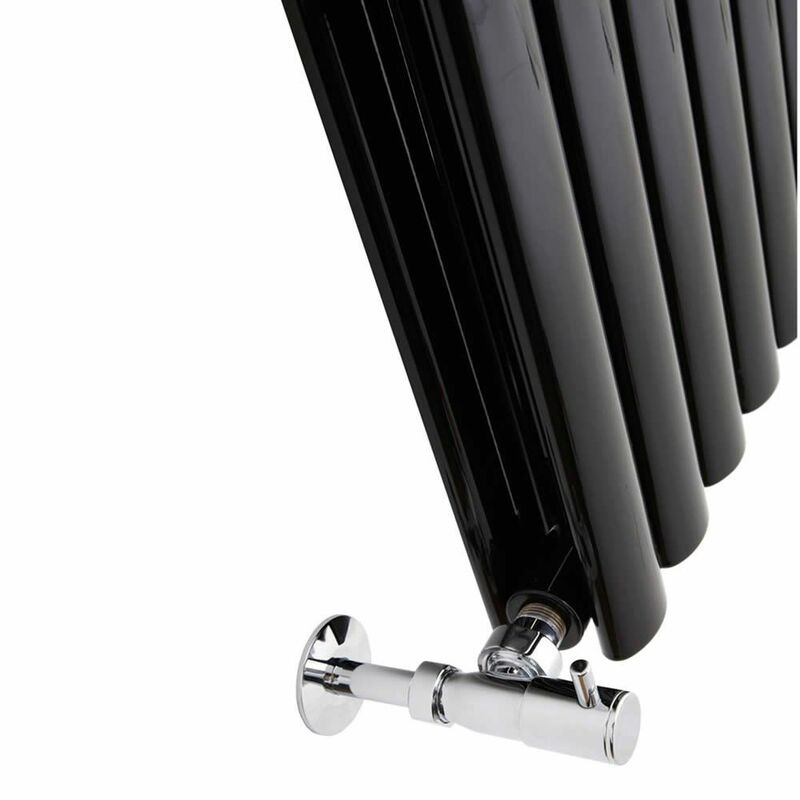 This model features two rows of ten oval columns. 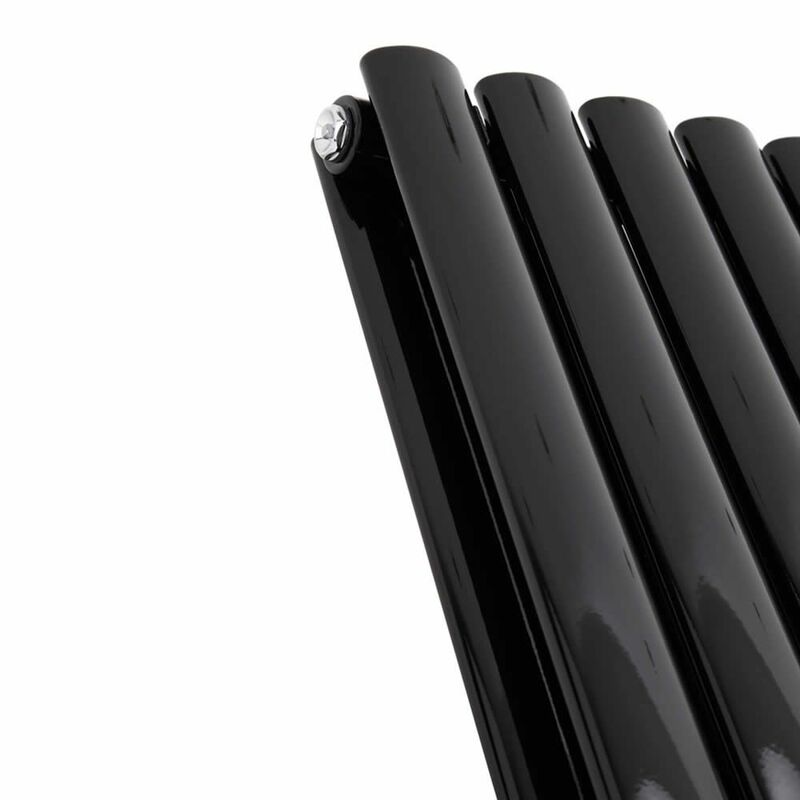 These columns are sleek and modern by design, with a gentle curved shape which creates a high-end, designer look. 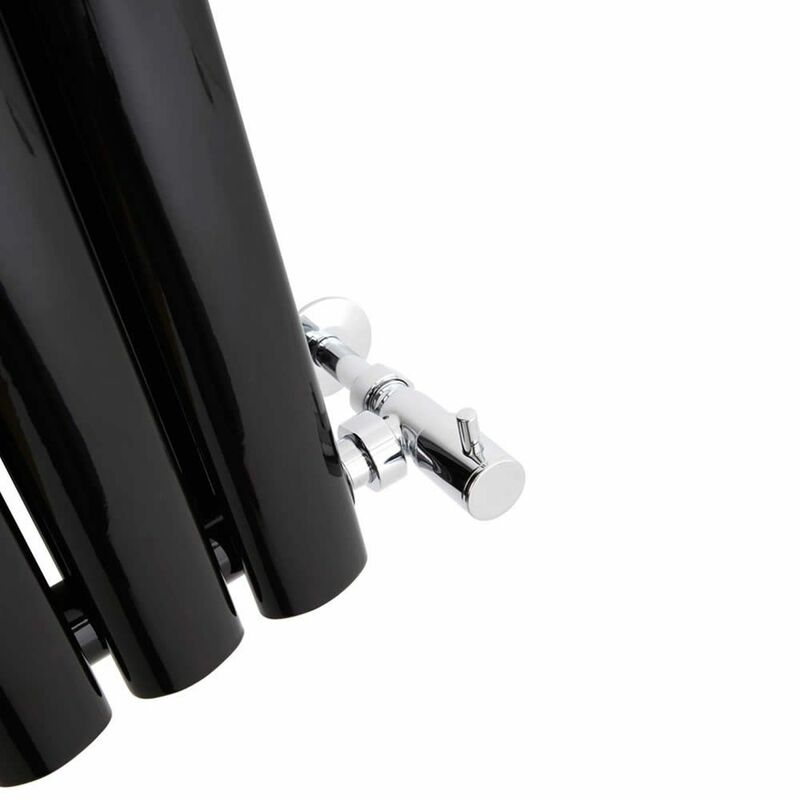 This is made complete by the sensational high-gloss black finish which also makes the surface really resilient. Being double panel, this radiator is able to produce almost 8000 BTUs every hour which will heat your bathroom or any other living space with ease and efficiency. 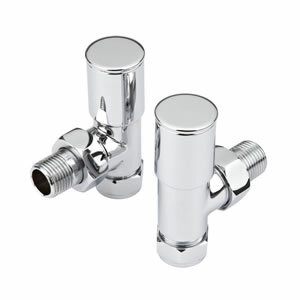 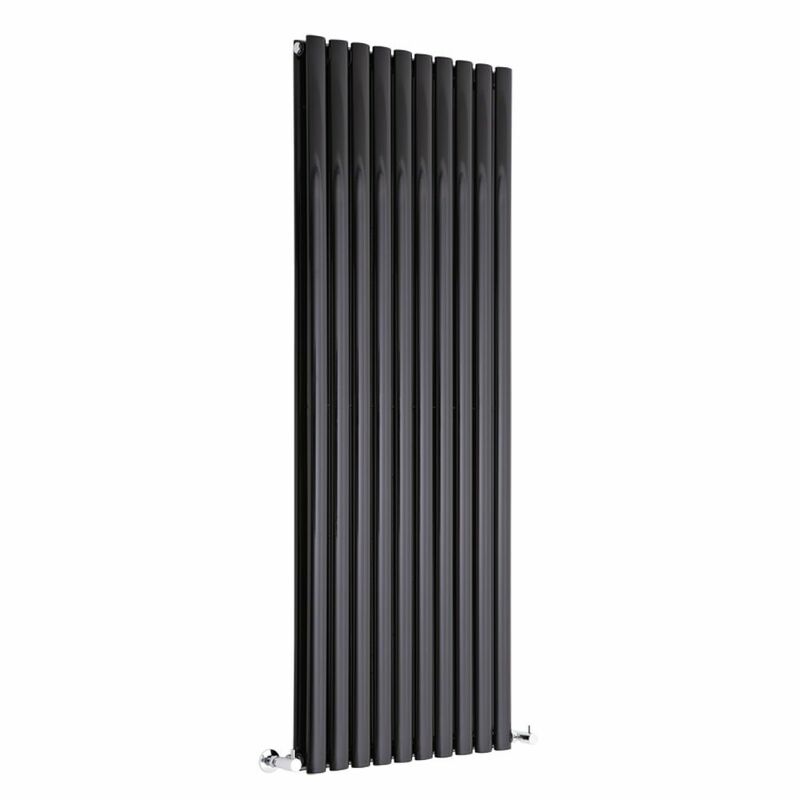 At 1600mm tall and 590mm wide, this model is a great choice for any small bathroom or room which lacks the wall space for a horizontal radiator.